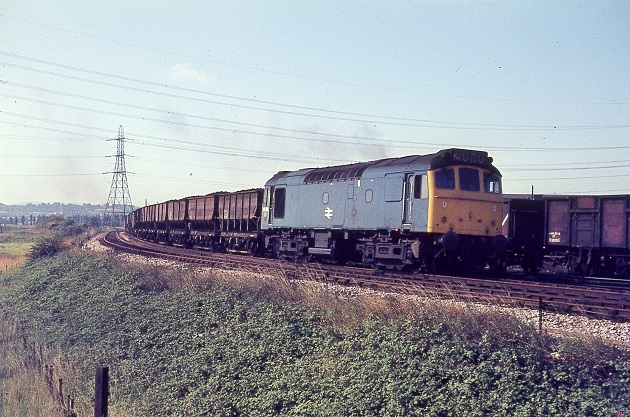 Photograph collection of webmaster 25291 at Dee Marsh, possibly during 1979. 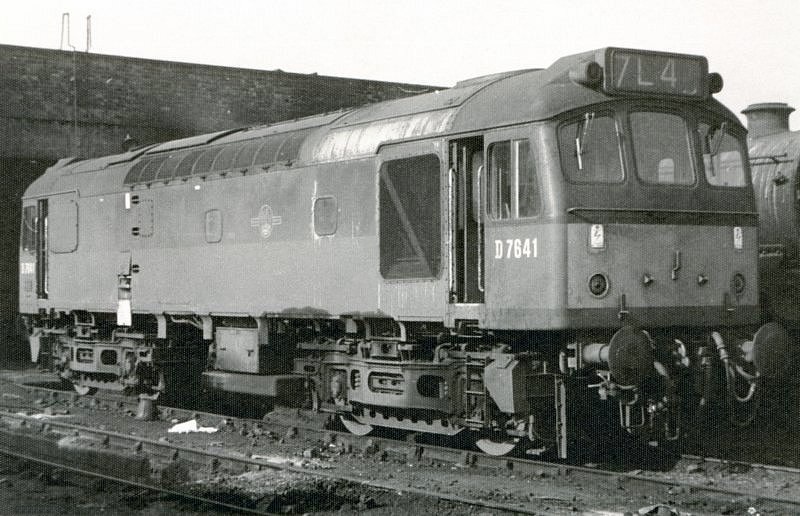 The fifteen year career of D7641/25291 started with fifteen months on the Eastern Region before transfer to the LMR for the remainder of its career. March 1967 London Division (D01). 25291 was the 105th Class 25 to be withdrawn, one of eight retired during May 1981. After withdrawal 25291 reached Swindon Works by January 26th 1982 and was scrapped by the middle of November 1982. Noted Derby Works December 1966 & February 1967. Photograph courtesy Danny Preston, collection of Neil Johnson 7641 in a very work-stained green livery at Edge Hill M.P.D on February 25th 1968. On July 13th the 09.19 Manchester Piccadilly - Yarmouth was worked to Lincoln Central by 25291 & 25239, they did not work the return leg. The 07.35 Nottingham - Llandudno Town and the return 13.00 Llandudno Town - Nottingham was worked by 25291 on August 10th. On August 2nd 25291 & 25290 worked the 09.20 Manchester Piccadilly - Yarmouth to Lincoln Central and returned from there with the 09.30 Yarmouth - Manchester Piccadilly. 25291 was stabled at Worcester on November 22nd. The 10.00 Aberystwyth - Euston was worked to Shrewsbury by 25291 & 25295 on June 25th. On November 27th the 15.07 Plymouth - Manchester Piccadilly was worked by 25291 between Gloucester & Birmingham New Street. On June 3rd the 08.25 Leicester - Skegness and the 18.30 Skegness - Leicester were worked by 25291 & 25268. 25291 worked the 17.10 Cardiff - Crewe on July 6th. 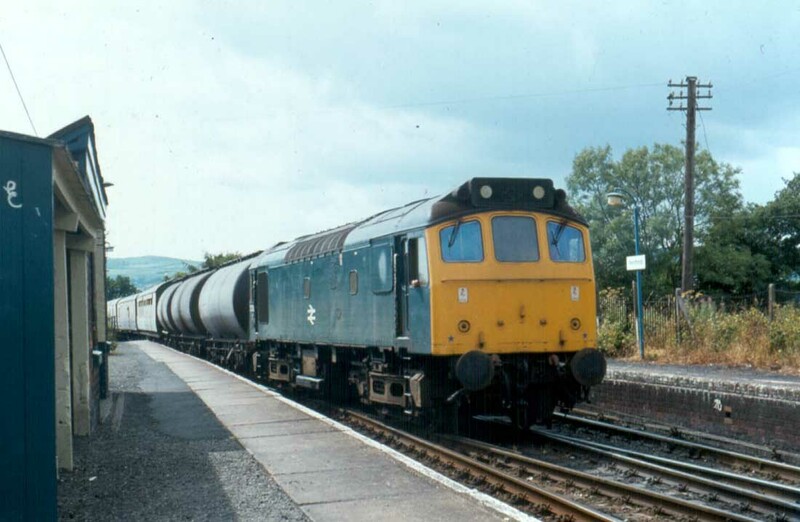 Photograph courtesy K Barber/collection of webmaster Weedkiller workings were very familiar to the Class 25s, here 25291 passes through Penyfford on July 26th 1979 with just such a working. On August 2nd 25291 & 25272 worked the Walsall - Norwich (for Yarmouth) - Norwich - Derby diagram. On December 14th 25291 was stabled at Manchester Piccadilly holding sidings. On Boxing Day 25291 was stabled at Newton Heath. 25291 was withdrawn on May 31st 1981. Page added January 9th 2013.